Started my next kit today. Actually a set of kits of Antarctic helicopters. I’ve always wanted to build the old Revell SO4S with its orange plastic because of the overall international orange scheme but alas I’m too cheap to pay the collector’s prices. 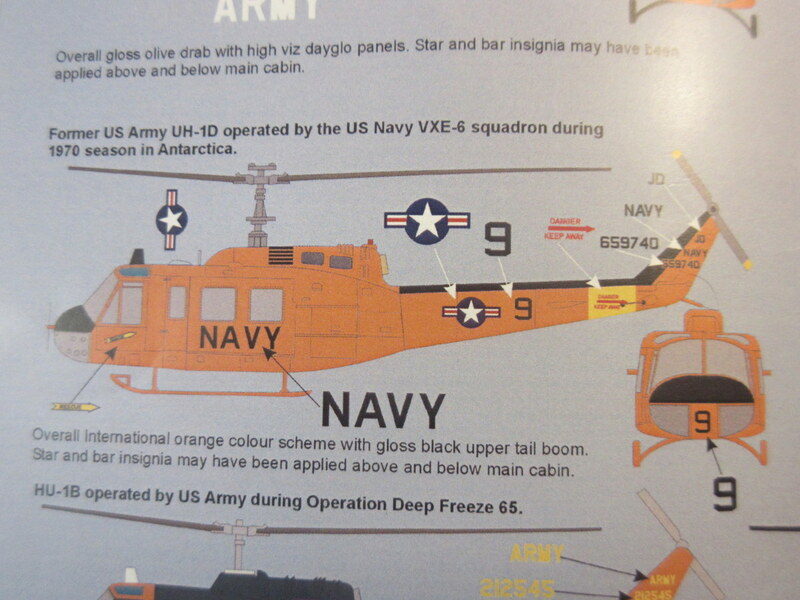 But a few years back an Irish company Max Decals released a set of 1/72 scale decals covering a multitude of Antarctic color schemes for various helicopters. It has been a while since I have built a copter and so why not build three; and UH-1D, and H-34, and an H-19. I am starting with the UH-1D. I was able to buy an old AMT kit which is exactly the same as the Italeri kit, to finish in the international orange colors of VX-6. 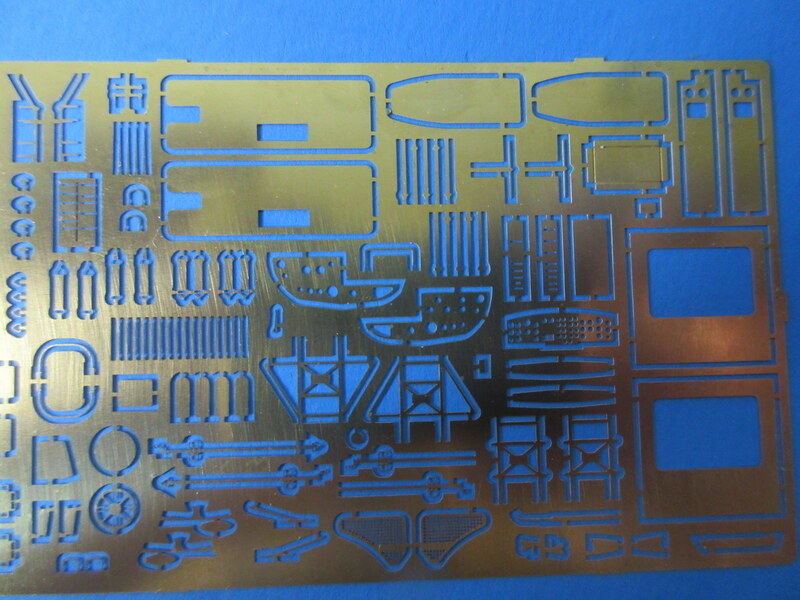 I also purchased an Eduard etched set for these kits. 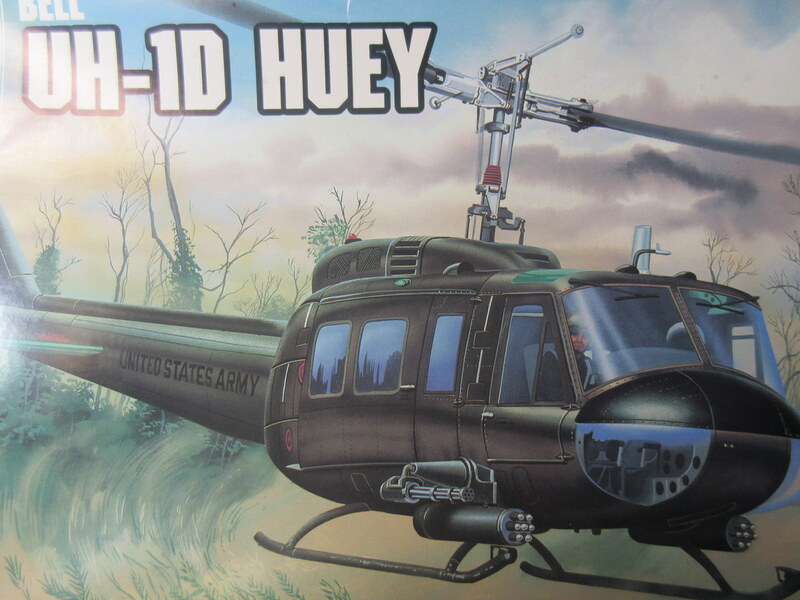 Trouble was the set for the 1/72 Huey is for a UH-1B. Same thing right, D vs. B? The B kit has armored seats- not needed on the D antarctic version. I compared the parts on the B etch and figured I could only use a few items like the instruments panel and seatbelts. And so I decided that I’d put away the etch for eBay or another day and do the unthinkable – scratch build the interior. It has been awhile since I have scratched a 1/72 scale kit cockpit. This should be fun! This entry was posted in Aircraft, Modeling and tagged AMT Huey UH-1D, Antarctic Helicopter, Eduard 72195, Helicopter model, Max Decals, VX-6. Bookmark the permalink. An orange huey… I expect your work.